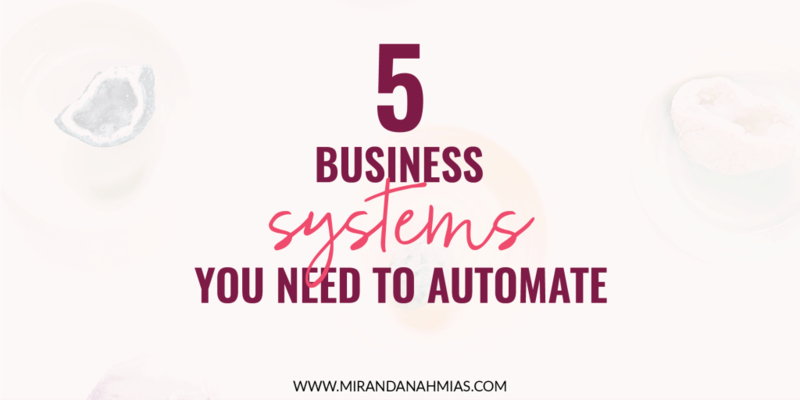 5 Business Systems You Need to Automate - Miranda Nahmias & Co.
Too many business systems, not enough time? I think we all feel like that some days. It actually took me a really long time to get my business to a place where it’s really, really automated. 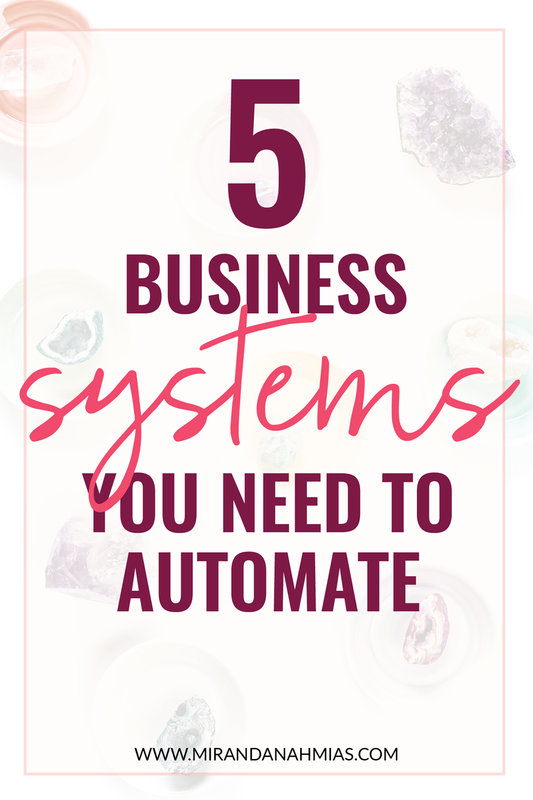 So today I want to detail out for you 5 ways you can start to automate your business systems today. These tips are based on what I have automated in my own business, and they’re the top 5 things I would recommend starting with if you’re new to automation. Your inbox is probably one of the very first business systems you should try to tackle if you’re thinking about automating something. It’s so easy to get overwhelmed by it and spend way too much time dealing with the loads of emails you get every single day. Unroll.me is a great tool that you can use with Gmail to unsubscribe from email lists you don’t want to belong to. It also allows you to create a daily digest of the newsletters you do want to read. This means your inbox will be much less cluttered! For any persistent newsletters that don’t seem to unsubscribe you, you can mark these as spam or create filters to send them directly to your junk mail. Once you tackle the heaps of junk mail, your inbox should be significantly less cluttered. So you may be all set from here on out. But if you find yourself missing important client emails or still not being able to reach inbox 0, you may want to create additional filters that put all client emails into an “Important” folder for you to check 1-2x per day. I also have a separate category of emails, besides client correspondence, that I need to keep up with. These are emails that come from friends or followers who are asking questions, reaching out about a collaboration, or who want to be added to my Pinterest boards. All Pinterest board-related emails get filtered into their own folder. Then I have my assistant deal with and clean it out once per week. The other stuff all gets put into a separate folder as well, which I like to tackle 1-2x per week. Social media is definitely one of the business systems that you should be automating. Mostly because doing it is so easy! Social media used to take me SO much time, but now I barely ever even think about it! Right now I use RecurPost to share one post per day on my Facebook page. I’m not super serious about growing my page right now, but having at least this bare minimum go out is a great way to make it seem active without having to put too much effort into it. I honestly haven’t touched it in months, except to put new posts in. I also share my Instagram posts to the page as well, which you can automate with IFTTT (or directly through Instagram if you have a business account). Since Instagram updated its API, a lot of tools now offer automated publishing, making it so much easier to set it and forget it! Right now, my favorite tool for this is Planoly. If you’re not already using Tailwind and/or BoardBooster to automate your Pinterest account, you definitely need to be doing that! This is one of those business systems that will give you some much ROI in the long run. This is because Pinterest is amazing for bringing traffic to your website! Want to do Pinterest, but don’t have time? Check out my affordable, but comprehensive Perfect Pinterest Package. There are a couple of different ways you can automate this, which is great, because email marketing is one of the most important business systems you need to have a successful business. The first thing you’ll want to focus on automating in your email marketing is your indoctrination sequence. This sequence should run after your subscribers sign up for your lead magnet or opt-in freebie. The goal is to introduce you and your business to them, and get them hooked on your content for life. You really want to use this sequence to make a great first impression on your new followers. Brittany Berger has a great blog post on how to set up a killer BFF-worthy welcome sequence. Once you have your indoctrination sequence set up, you may want to set up other types of automated email marketing. The next sequence you should set up is your potential client nurture sequence. This sequence can happen either in your email service provider, or in your CRM (like Dubsado). It should trigger after someone shows that they’re interested in potentially hiring you, like they booked a discovery call, signed up for a potential client-specific lead magnet, or self-segmented themselves in your welcome sequence. When you’re a service-based business owner, lead tracking and follow up is one of the most important business systems. More than that, you need to stay on top of it basically every single day! Personally, I love using a Trello board like a CRM tool to monitor all of my leads (see the tutorial and get the template in The Client Vault). Another great way you can automate your lead tracking and follow up is by using a tool like Dubsado. It’s great for keeping tabs on all your leads. You can even start workflows for stuff like a potential client nurture sequence like I mentioned above, or create reminders to follow up with people. If you haven’t already read my comprehensive blog post on how to automate your client onboarding system for free, then you’re missing out! In fact, I actually don’t have too much to add on this topic. 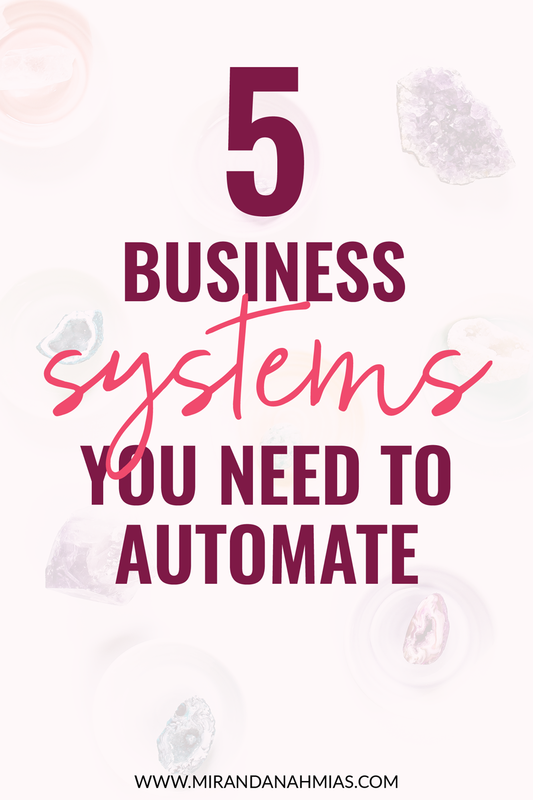 It’s one of the most crucial business systems, and definitely one of the first things I would recommend automating in your business. Not only does an automated client onboarding system make taking on new clients super easy for you, it also provides a seamless experience for your clients, making you seem ultra professional.